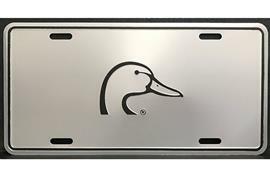 Get the Official DU License Plate in Silver! 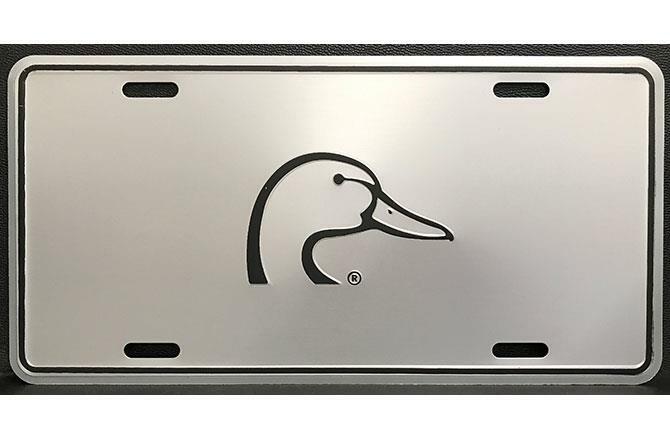 Share your wetlands and waterfowl conservation message with others with this quality metal license plate embossed with the DU logo centered on a silver background. This aluminum license plate is a perfect accent for your vehicle, a conversation piece and a great gift. Show your support for Ducks Unlimited today with a tax-deductible donation of $20 or more. Please allow 6-8 weeks for delivery. If you would like to order multiple quantities, please order by phone toll free at 1.800.45.DUCKS. Ducks Unlimited is committed to using your money wisely – each year, at least 80% of every dollar goes directly to DU's conservation mission.